“MANTRA” is a powerful but eerie alternative rock anthem that depicts how people blindly follow others. 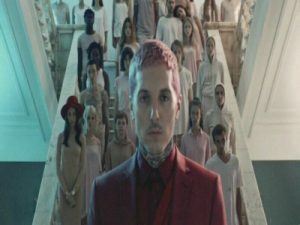 The highly-anticipated debut single off the band’s sixth studio album has Oli asking for people to get behind him to start a cult. Like their previous album, That’s The Spirit, this song along with the rest of the album was solely produced by Oli Sykes and keyboardist Jordan Fish to allow the band full autonomy of their sound. You can listen and download MANTRA - Bring Me The Horizon ringtone now!